Home » Whispering Wolf » Gods » Who Is the Greenman? By the time we reach the Spring Equinox, we are generally VERY over winter and are longing for the warmer spring days. Our ancestors, after freezing and almost starving for months, knew if you made it through, it was a time to give thanks to the nature gods who had watched over you and helped you to survive. The Greenman, or Spirit of the Forest, is tied to a large amount of pre-Christian belief systems. While he goes by many different names, his theme is common. 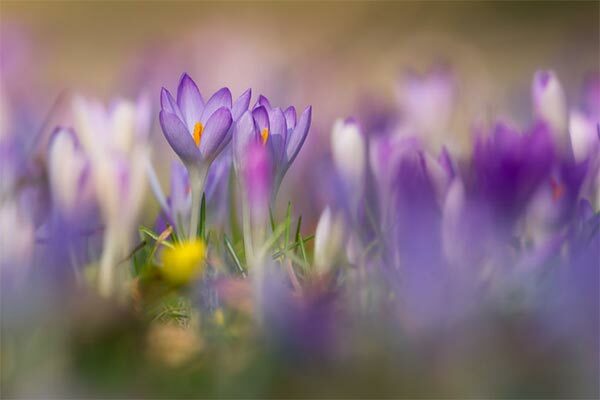 He is a symbol of rebirth and represents the new cycle of growing each spring. His looks can vary as much as his name, but generally he is depicted as a face surrounded by, or made of, leaves. Branches and vines can be shown sprouting from his head sometimes bearing fruits or flowers. 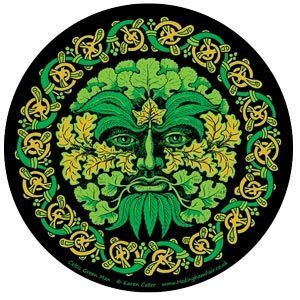 The Greenman is found all over the world, usually referred to as a work in architecture as foliate heads or foliate masks, carvings of the Green Man can take quite a few forms. And although he appears to be Pagan in his origins, many may be surprised he is commonly found in many church carvings as well (a tradition that exists across Europe more so than here in the U.S.). Today many Wiccans associate him with the Celtic God Cernunnos, the wild God of the Forest. Generally shown with great antlers, he is a protector of the forest and master of the hunt. While he is a God of plants and trees in his aspect of the Greenman, he also is considered a God of fertility. However you view him, when he appears, the warm days of spring can not be far behind.